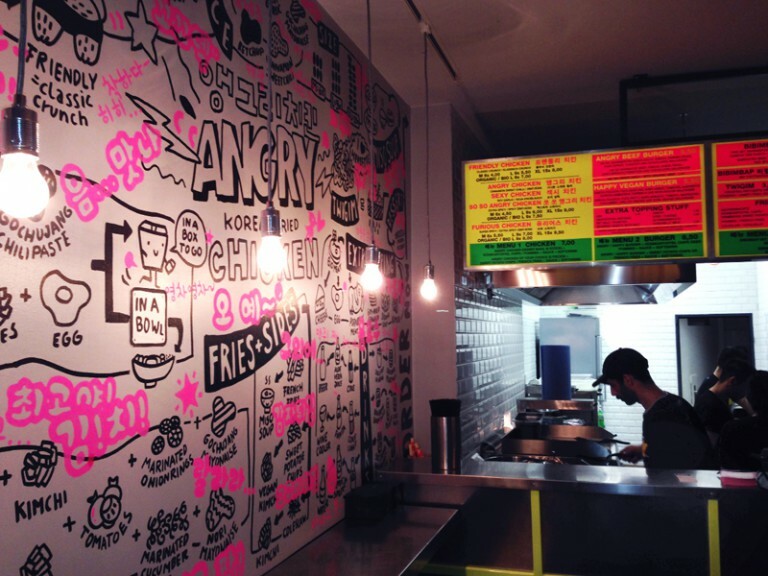 After relocation, the best Korean Fast Food Restaurant of Berlin, »Angry Chicken« needed some visual changes. I designed a wall and the food packaging that illustrates the menu. 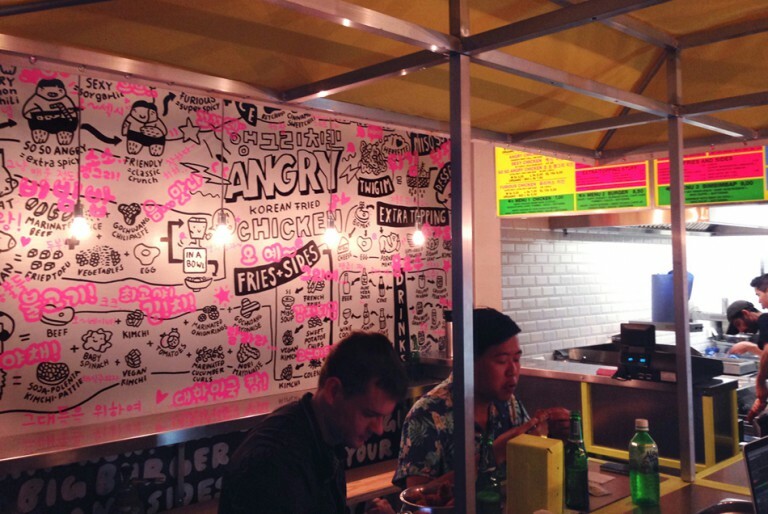 While the hungry customers are standing in line they get entertained by the huge illustration, which I drew by hand with markers. The visuals got some fame in the hood and even made it to the most informative German science show »Galileo« on Pro 7. The animated version of the Wall Art was screened at the »Berliner Fenster«, the passenger television company of the Berlin subway.